Home / Automotive / Cars / You Have To See This Porsche 911 GT1 Launch! 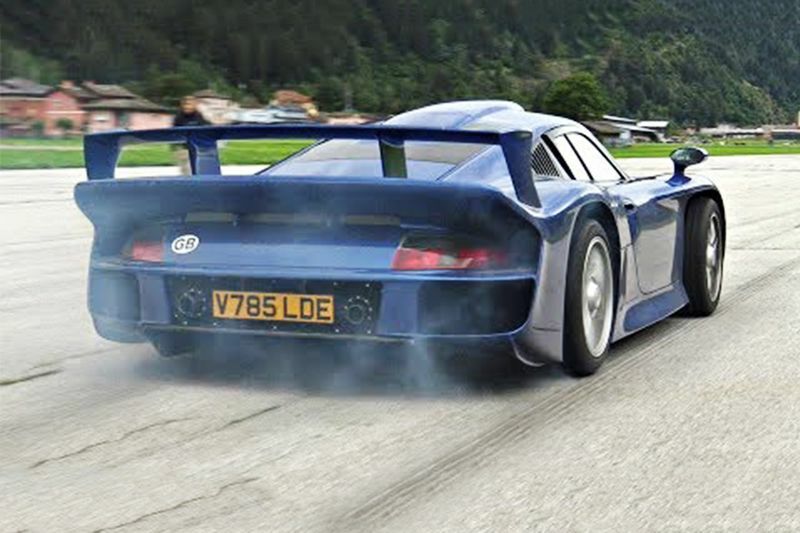 It's not often you see a rare Porsche 911 GT1 Straßenversion being given a workout, making this video of a runway thrash a joy to watch. Some YouTube videos are worth digging out a pair of good headphones for, and this one definitely ticks that box. Yes, you’re looking at a Porsche 911 GT1 Straßenversion being thrashed down a runway, lighting up its rear tyres off the line multiple times at its launch. Just 25 examples of the Porsche 911 GT1 Straßenversion were made to satisfy homologation rules of the time, so even though it’s far from the most celebrated sports racing car of yesteryear, each of them are extremely valuable. On the occasions road-going GT1s come up for auction, they cost multiple millions and have barely any miles on the clock as you might expect. That’s what makes it great to see this one being thrashed, with its 536bhp, 443lb ft turbocharged flat-six given a good workout. The icing on the cake is we even get to see the GT1 race a Carrera GT!